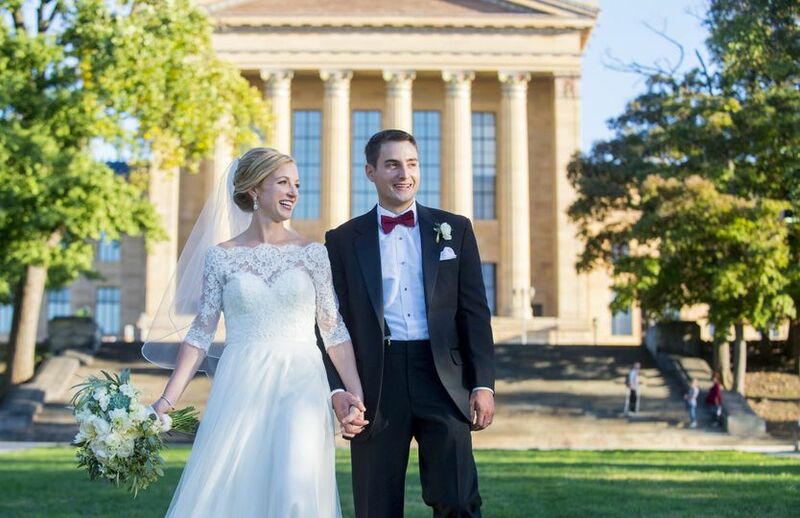 Philadelphia Country Club is a luxury wedding venue in Gladwyne, Pennsylvania that is located in the heart of Main Line Philadelphia. 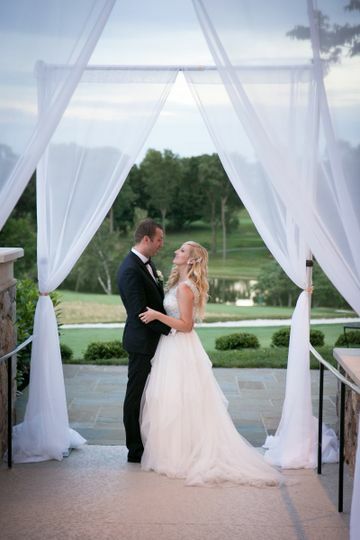 The historic country club is both elegant and classic, providing a chic backdrop for your fairytale wedding. 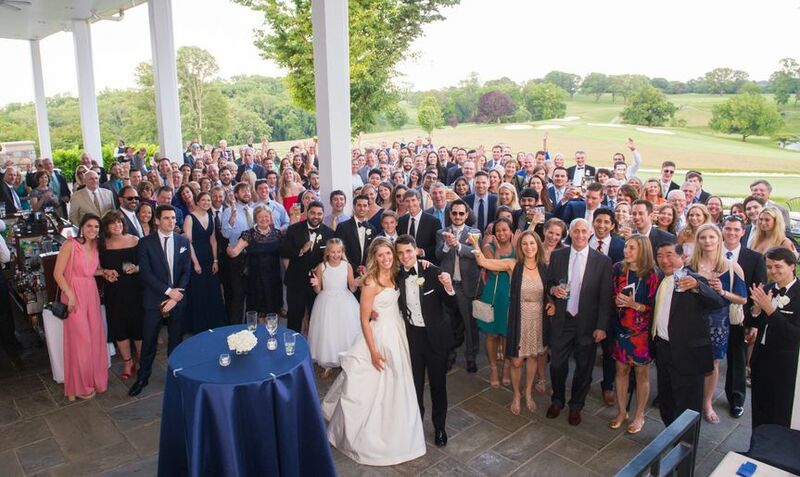 At Philadelphia Country Club, couples can celebrate with loved ones on 300 acres of lush land. 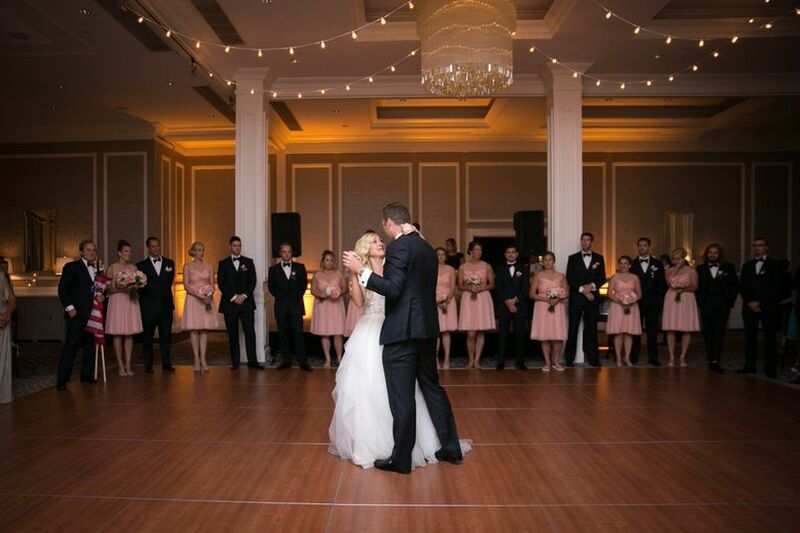 The Grand Ballroom, which can fit up to 350 guests, features sophisticated decor and a hardwood dance floor. It can be split up into smaller rooms, depending on your needs. 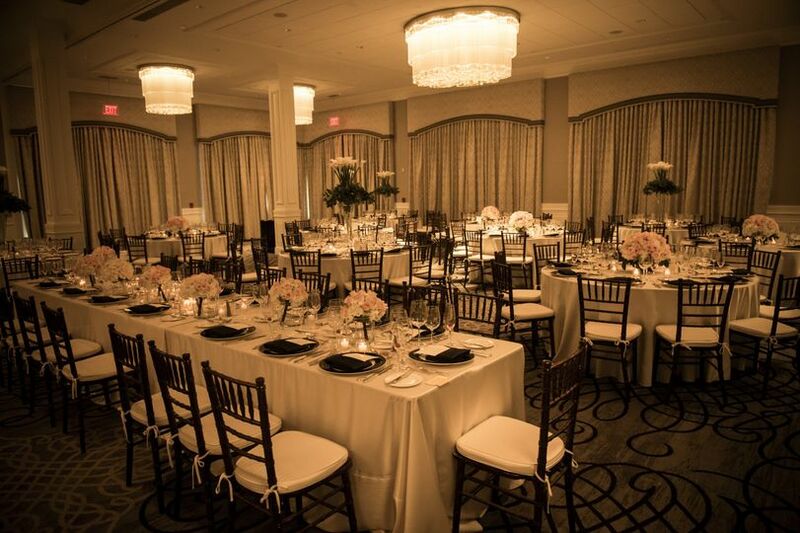 For more intimate celebrations, the Rosewood Room and Rosewood Bar can accommodate up to 40 guests. 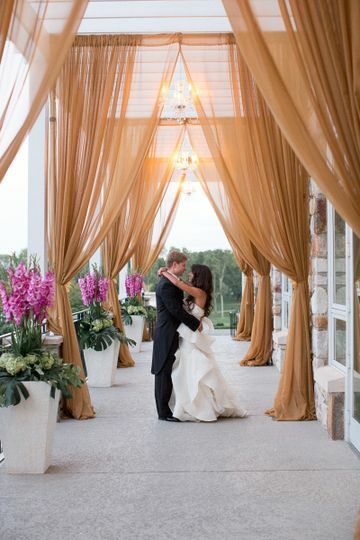 Outside, the terrace with scenic views is ideal for a ceremony and/or cocktail hour. Couples are welcome to get ready in the bridal suite. Guests may use on-site parking, valet parking and wheelchair access. Founded in 1890, Philadelphia Country Club is jam-packed with rich history. The venue hosted countless tournaments, events and meetings over the next century. Today, it provides recreational activities, sports and social interaction for local families. The country club is located near Schuylkill River, just 27 minutes outside of Philadelphia. It is also 27 minutes from Philadelphia International Airport and 35 minutes from Northeast Philadelphia Airport. Guests can explore local attractions such as Valley Forge National Historical Park, Wissahickon Valley Park and Elmwood Park Zoo. Trenton, New Jersey is 45 minutes away. 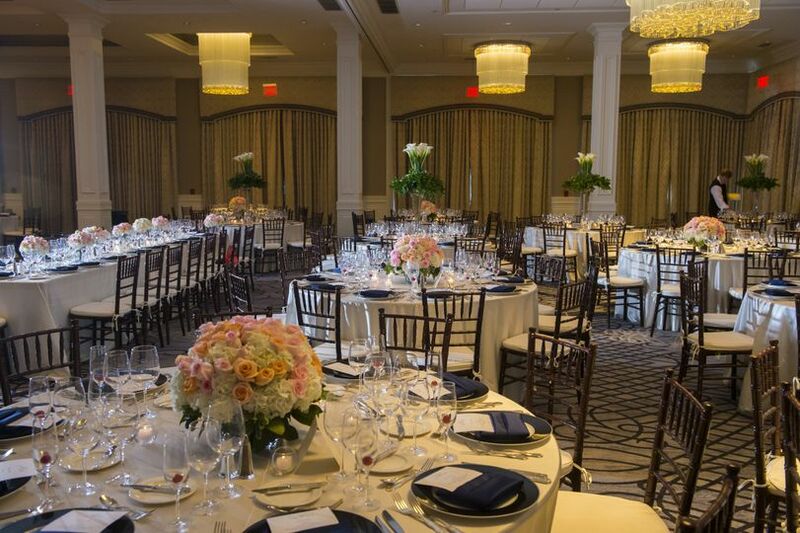 We had a great experience working with Philadelphia Country Club. Absolute top level service. They were very attentive from rehearsal to the actual wedding. There was a full service staff just for the rehearsal (really unbelievable) and just for the wedding party during the reception and they made sure we had whatever we needed every step of the way. We had our ceremony on the terrace outside of the ballroom. They were going to turn that over quickly to allow outside cocktail hour but the weather didn't permit that but I think that goes to show how flexible they were to make sure you have the best experience. Both the ceremony and the reception were set up exactly the way we wanted. Food was delicious (even the menu tasting was a whole dining experience). House wines are really good quality - really help alleviate any hangover for the next day :P and our guests all had a great time. If you want to guarantee the quality/service level of your wedding, I highly recommend PCC!! Everyone I had the pleasure of working with was beyond helpful and blew my expectations away. Would highly recommend! 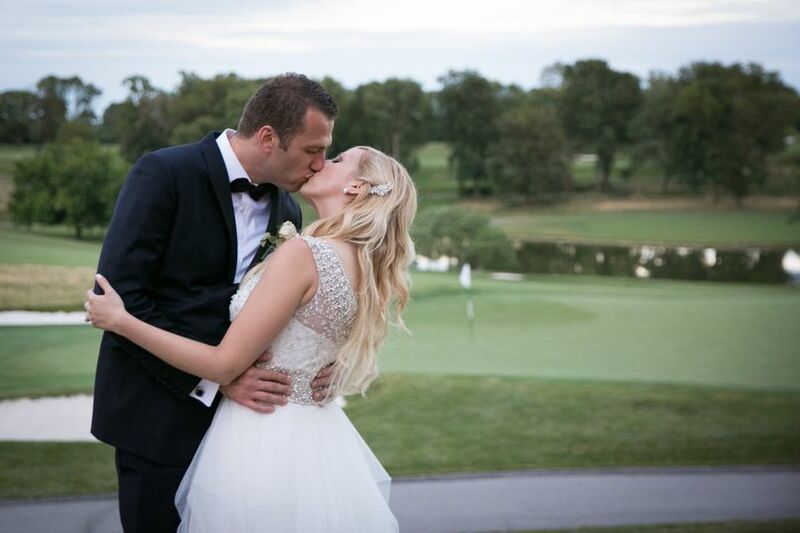 It was the best decision to go with The Philadelphia Country Club for our wedding. They took all the hassle of small and big details out of my hands and were able to execute the best evening for myself, my husband, and all of our guests!!!! !